I received my launch bundle today which included the new EC markers. The packaging is great and I do think I will use these markers. I like them, but I don’t totally LOVE them. See how light the blue and green are? The rest of the colors are nice. 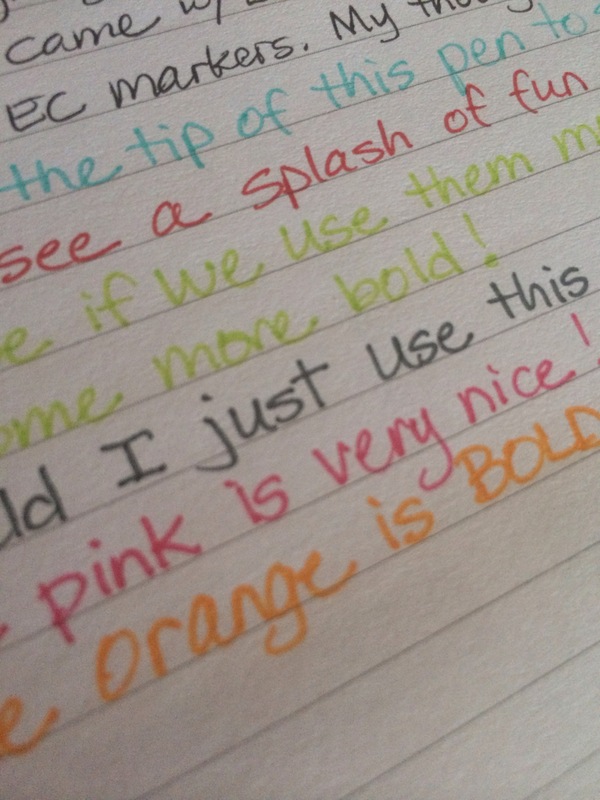 I wish it also had a golden yellow and a purple and then this set would be perfect for my color coding system. 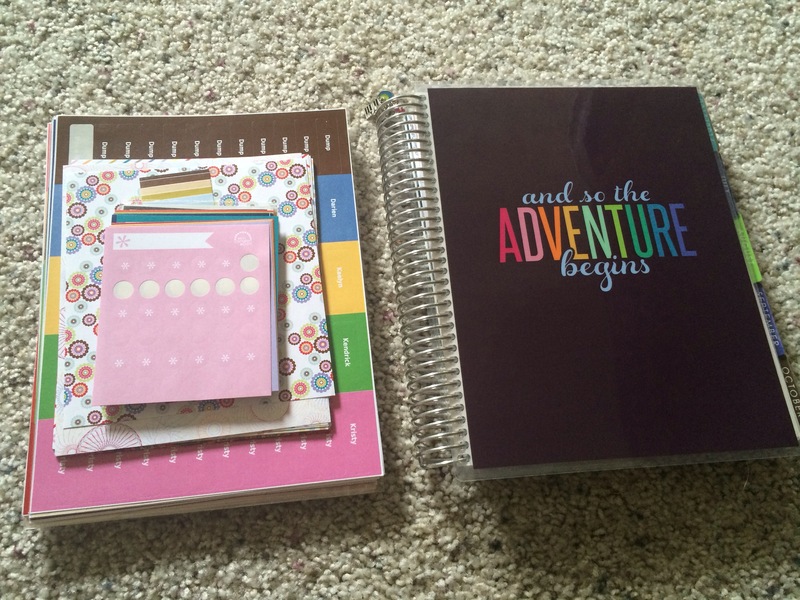 The tips are perfect for me and I will find ways to make them work this year with my “only EC” planner. I grabbed this off of the EC Horizontal Users group today. 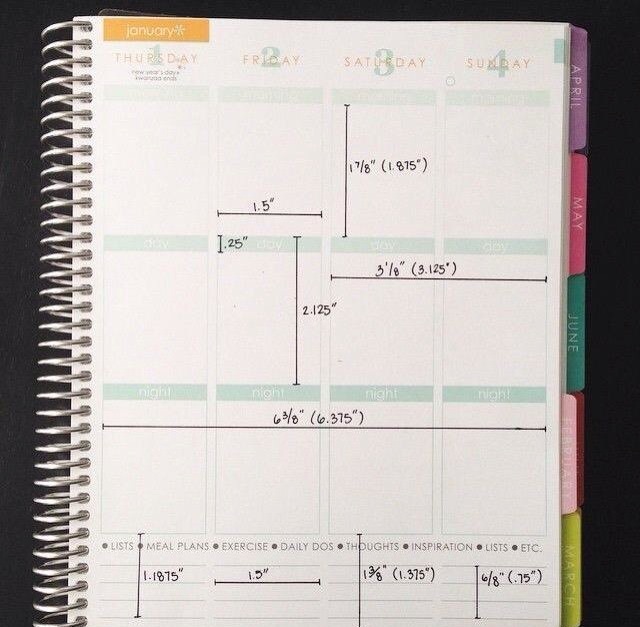 Helpful for anyone wanting to make custom stickers for their planner! I just want to share a comparison in the custom event labels. 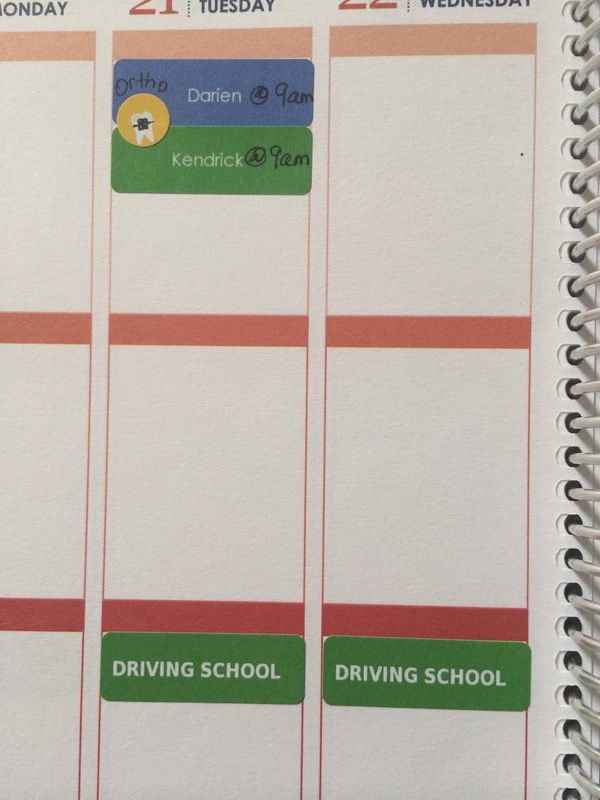 The “Driving School” label was ordered a few months ago and the “Kendrick and Darien” labels were ordered a year ago. I love the new bolder design so much better. I really hope this is how my next set will arrive as well. Fun little embellishment with the Do-It-All dots! 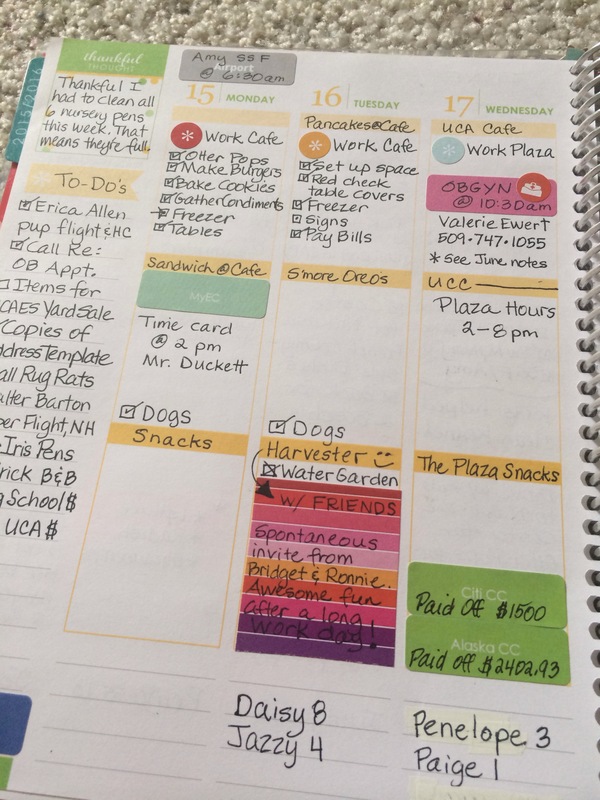 Have you ever felt overwhelmed just to plan in your planner? 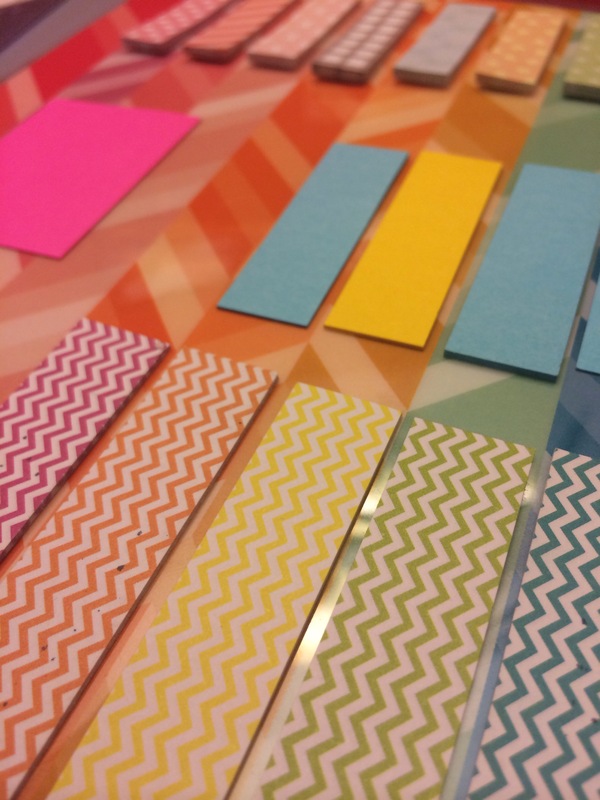 Has your pile of supplies taken over the kitchen table or office? Have you wished for planner peace and simplicity in this area? 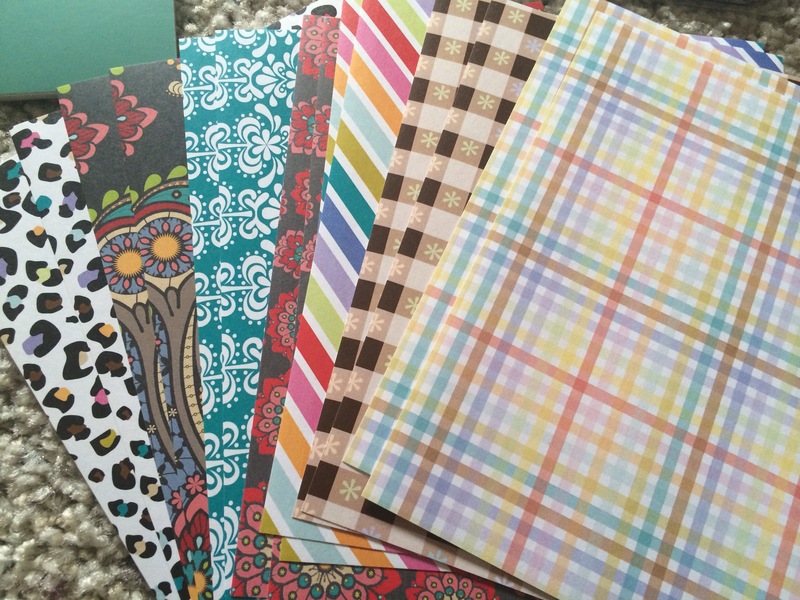 So I decided to have an Erin Condren only planner this year. 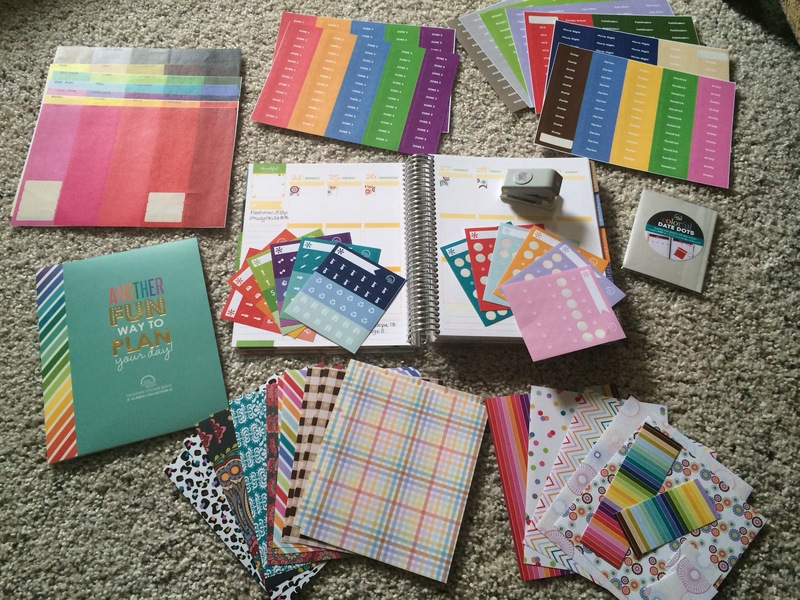 Everything I use in my planner will be from the Erin Condren brand. It’s still a lot of stuff! But if you break it down, it’s really just 8 different items. 1. 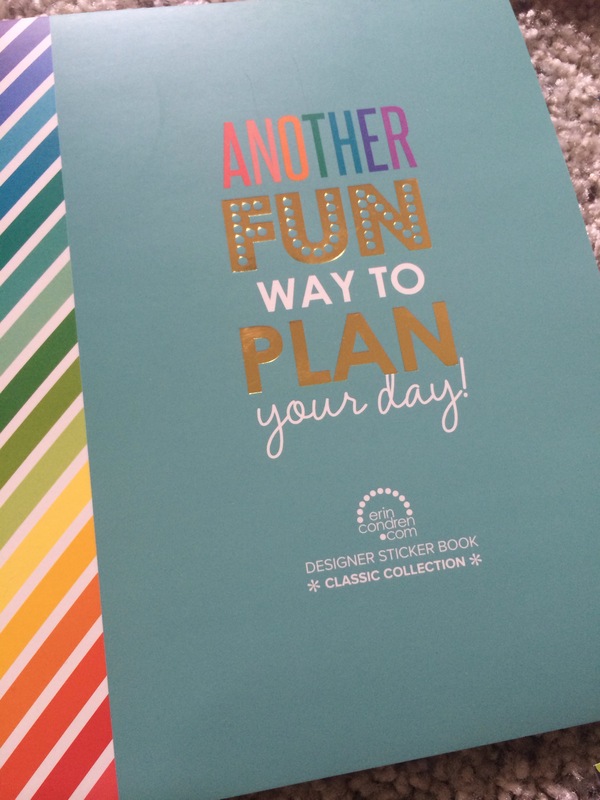 The Erin Condren Life Planner…Of course we must start with the basics and own an EC planner! Mine is Vertical, but there is also a new Horizontal option this year. 2. 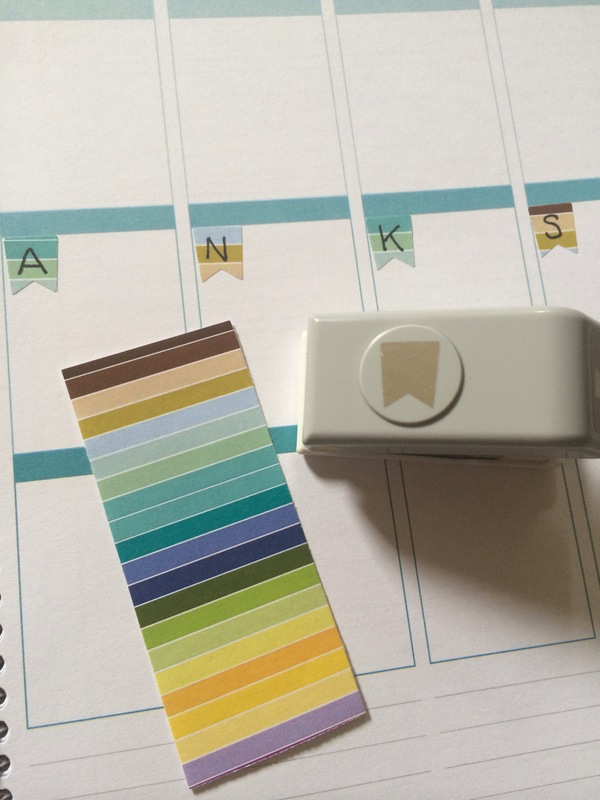 Blank Event Labels…2 sheets of these come in your planner (plus 2 sheets that are pre-printed). 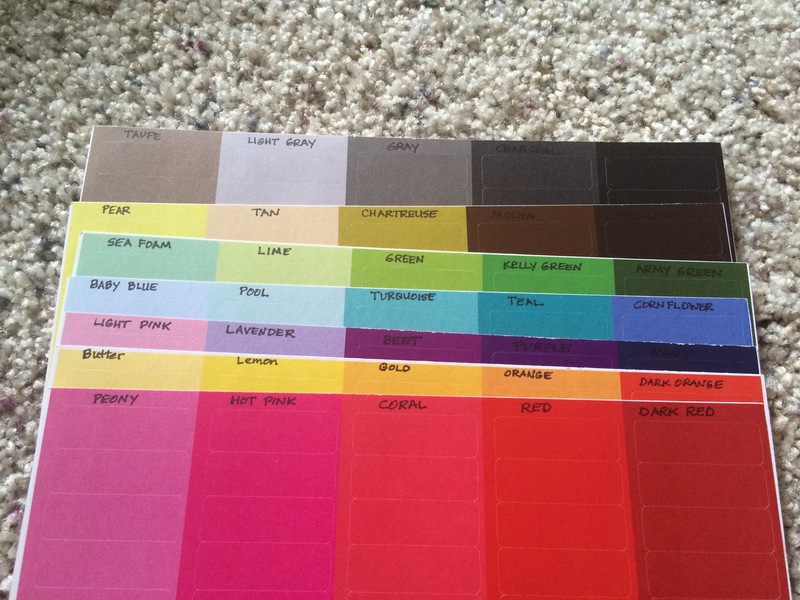 I really like the blank labels so I’ve ordered a few more just to have all the colors. I use a Pilot G2 black pen to write on them. 3. 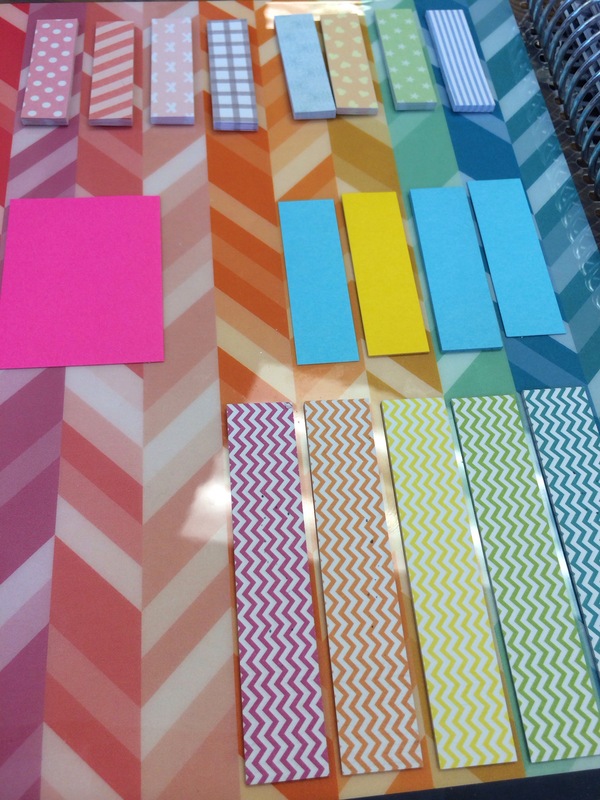 Custom Event Labels…I love these and want them for everything! But I basically just get them for recurring events and things that I really need to stand out. 4. 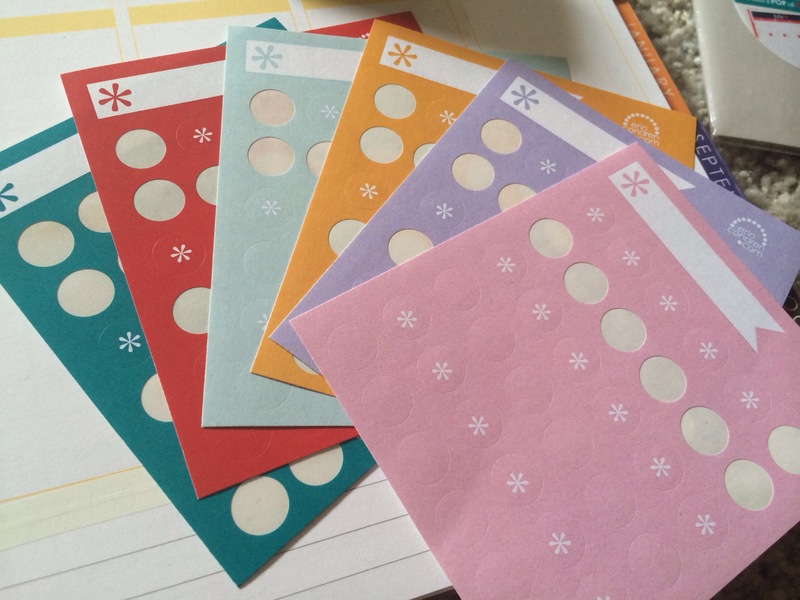 Daily Dots…These are a fairly newish item and this will be the first year that I use them. I like them and wish EC would do some that are even smaller. 5. 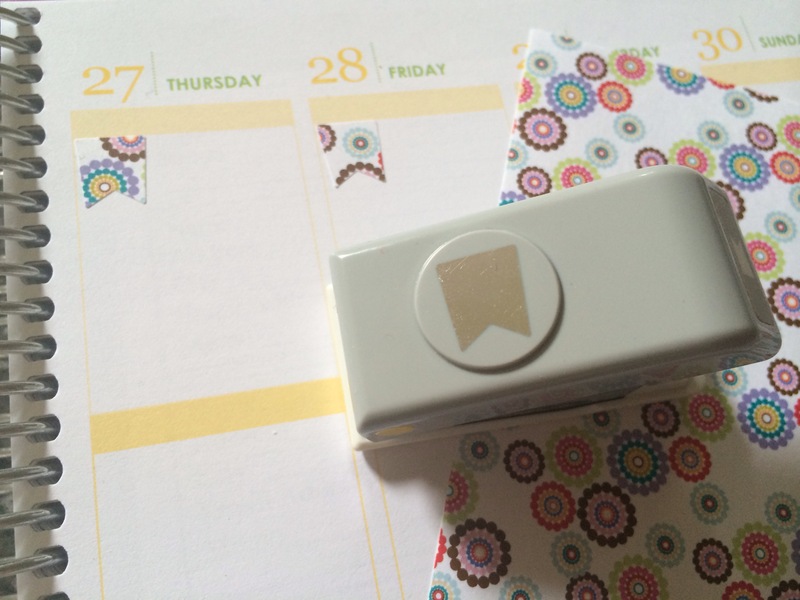 Do-It-All Dots…another newish item that I am using for the first time this year. 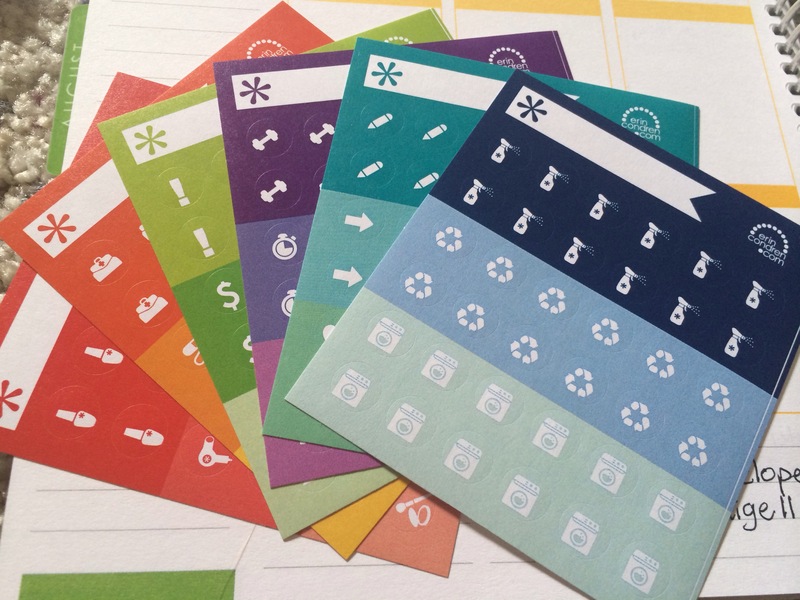 They are grouped in themes which include: cleaning, recycle, laundry; pencil, arrow, heart; exercise, timer, measuring tape; exclamation, dollar sign, envelope/mail; doctor, medications, dentist; nails, hair, makeup. Some of these will get used up quickly and easily, like the money sign and the heart, and others may be gifted to friends that will use them like makeup or the measuring tape. But they are cute and functional, and there is a good variety! 6. 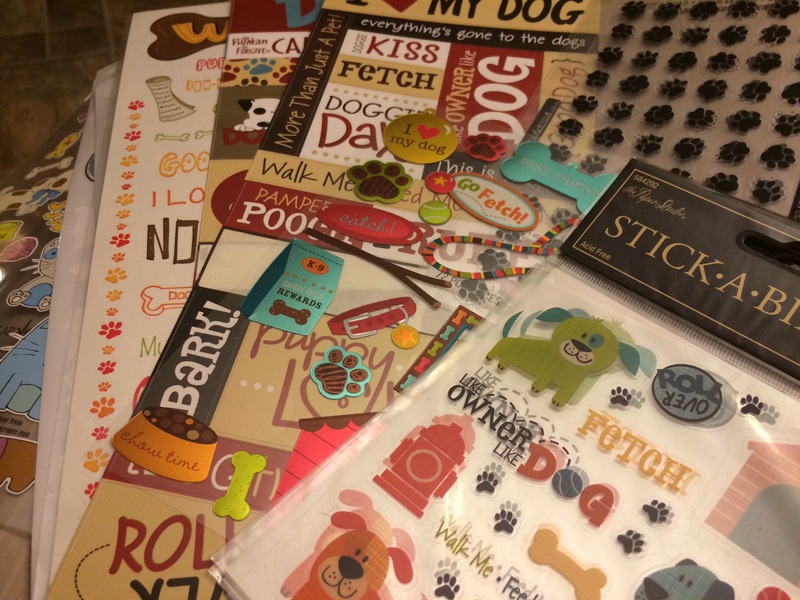 The New Sticker Book…Can I just say LOVE?!!! Scroll down to an older blog post and I show all the pages. I hope with a pleading kind of hope that they will design more of these that are seasonal and themed in fun ways. This is an exciting new product! 7. 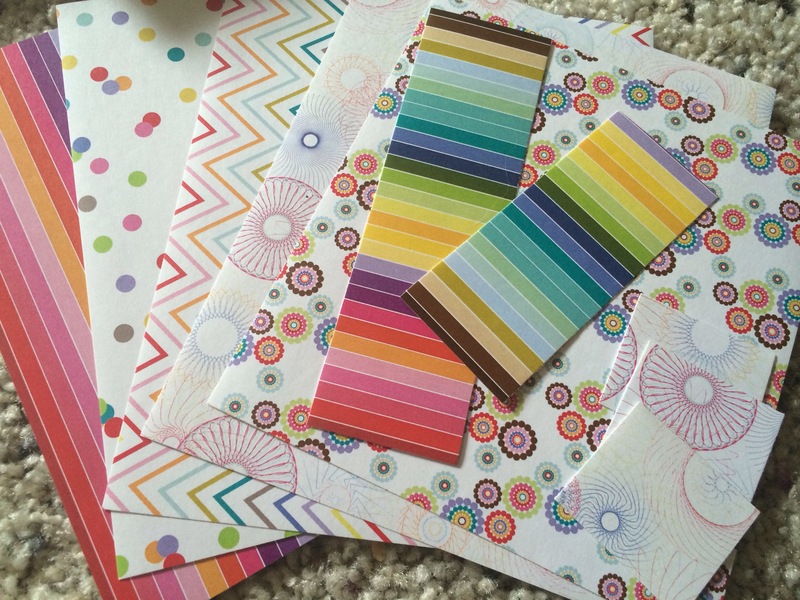 One thing I have not fully taken advantage of yet is the Washi paper/stickers that they have. I own the classic set. The Christmas set is in my cart. And I keep looking at the summer themed set, wondering if I love it enough to buy it yet. It’s probably just a matter of time. I plan to use these for marking my weekends and any extended vacation days or family activities that span over several days. 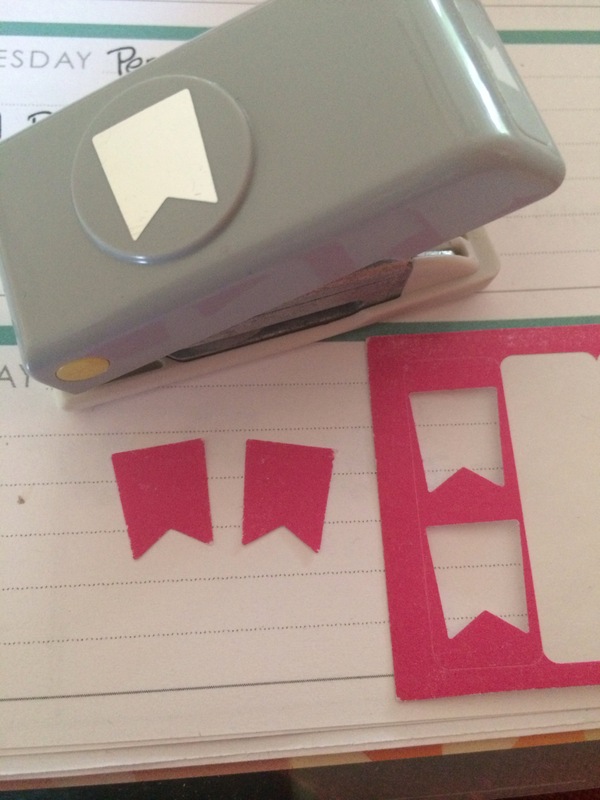 They are designed to be cut in any shape, so the ways of using them are limitless! 8. Various punches…ok, this is technically not EC, but I can’t get enough of this tiny flag punch. 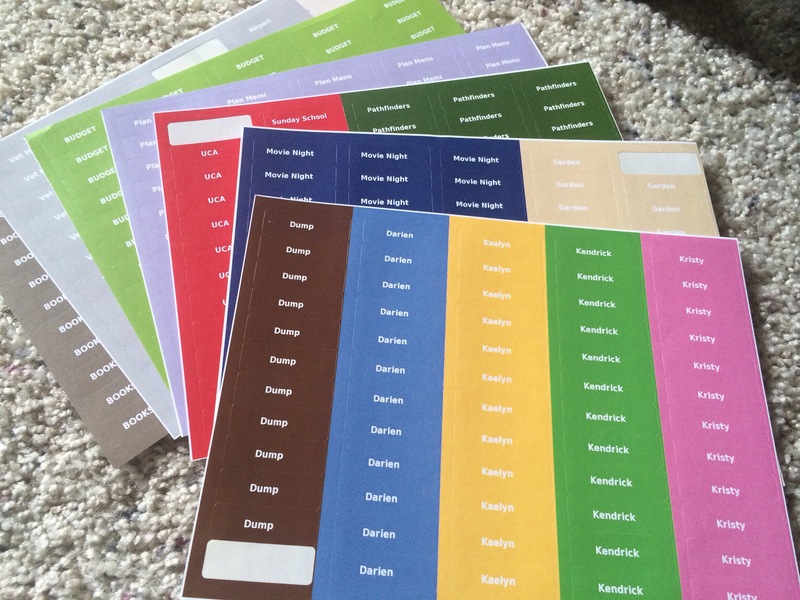 I will be using it a lot this year to make my own flags out of the Washi paper AND the event stickers. I will probably look for a small circle punch as well as one other that looks fun and fits in the boxes. My goal is to keep things simple though, so 1-3 punches will be my limit! Because the Washi paper is designed to use in shapes, I think cutting the EC brand Washi qualifies as keeping things within the EC brand this year! 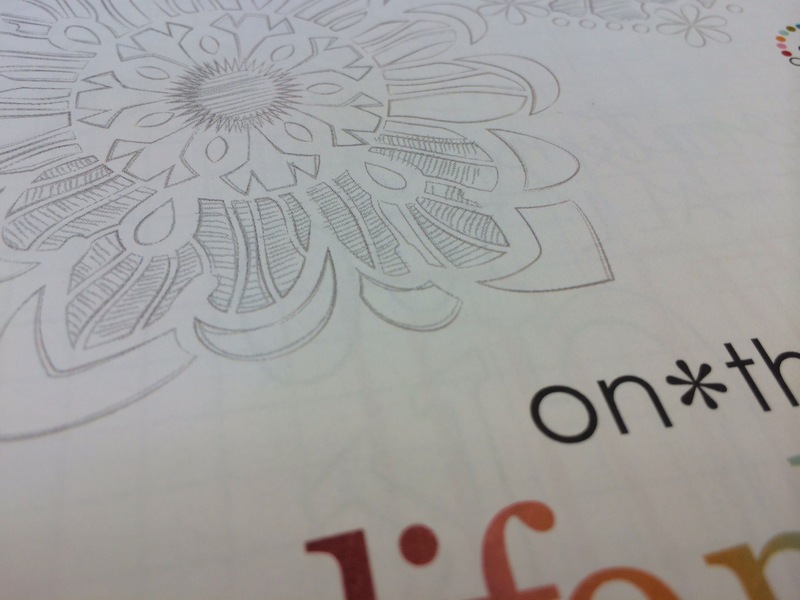 I am super excited about this challenge and I really like how my planner is turning out so far. I plan to add the new EC markers to my pile of supplies, but even with all of these things, my pile is totally under control when it isn’t all spread out. 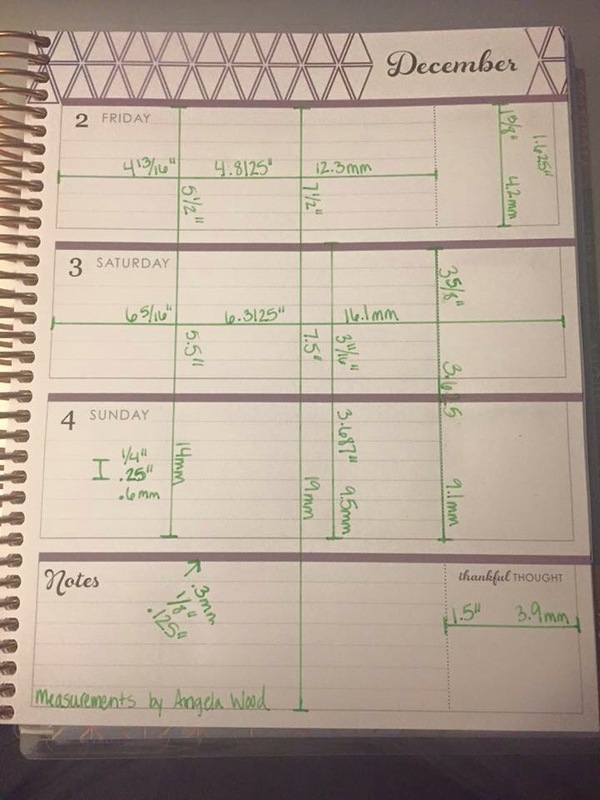 I’ve done 3 1/2 page layouts so far and it has been quick and easy and very little time has been spent on decor, yet my planner makes me smile when I see it and it’s keeping me on track! Everything on these pages is EC only and my Pilot G2 black pen. I made some fun flags for Thanksgiving week! And some more cute ones for recording my work hours when school starts in August. This little flag punch is from Walmart and it feels like a must have for me. I tried a different design for October. Not sure I LOVE this, but it didn’t cost me much time to experiment a little. 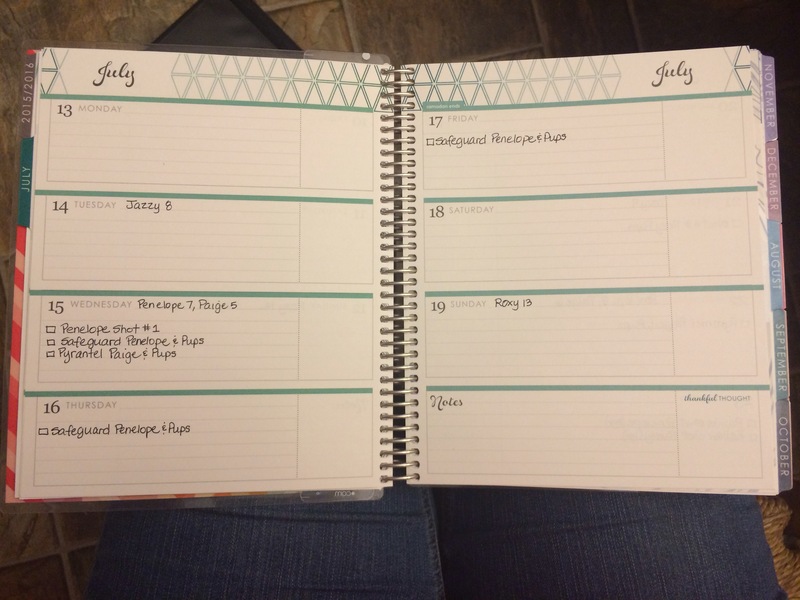 I can’t wait to see how my planner looks by next June. I know my shopping will be much simpler and easier on the budget. And I hope this will let everyone know that the items you can get from EC, the new bundle, and perhaps a few custom event labels are all you really need for simple, functional, but still lots of fun planning! 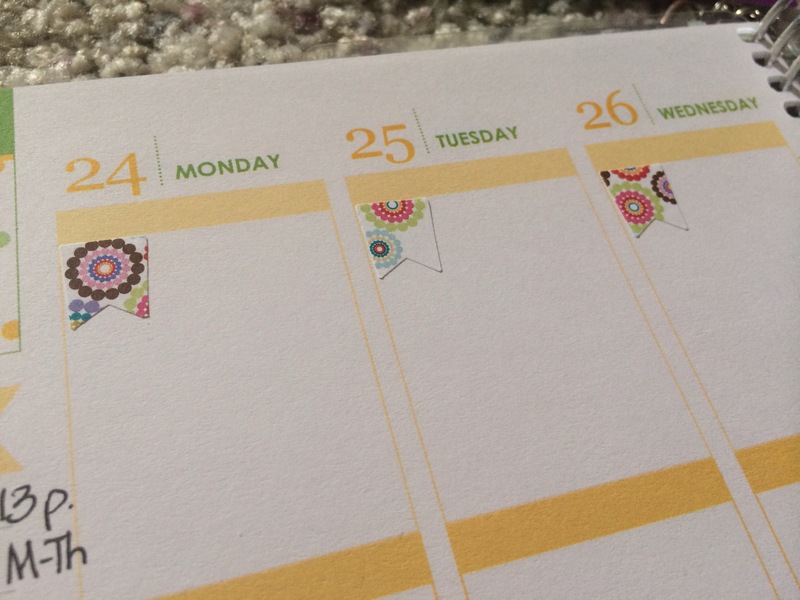 I am using an Erin Condren Horizontal Planner this year for our business. I’ve been getting it set up and thought I’d share a peek of it here. The basic setup for the monthly view will include doggie birthdays and ages of puppies. 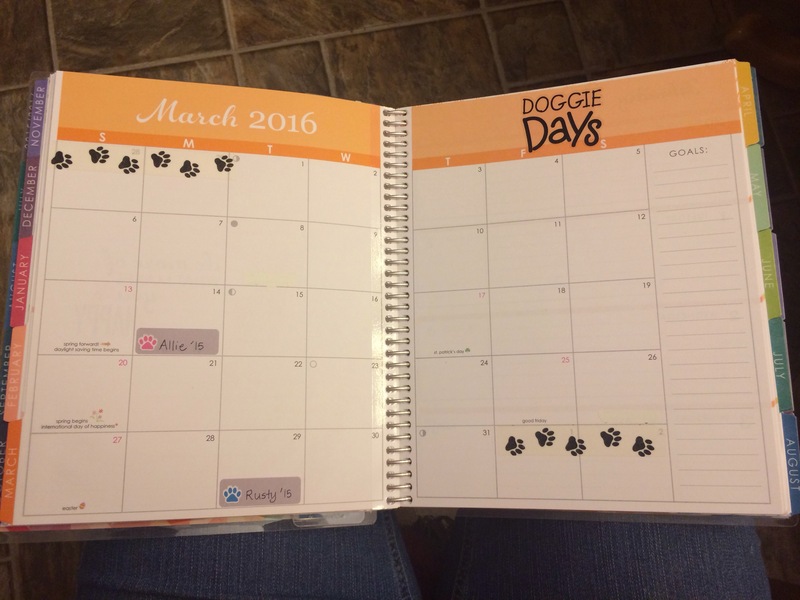 I also used my paw print Washi tape to mark off the extra days on the monthly view. 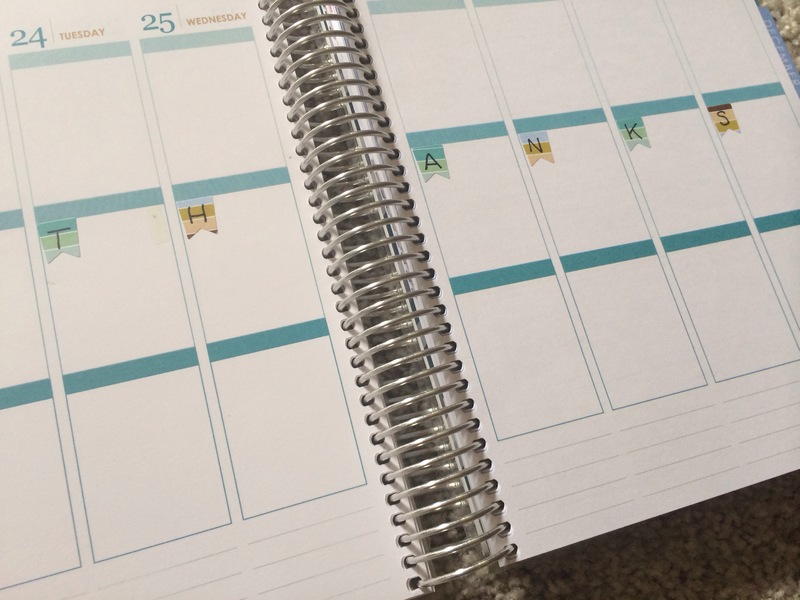 I often have to count ahead by weeks and having duplicate dates has messed me up a few times. I think covering the dates that are not for the specific month in view will help me avoid that mistake in the future. This one includes a bit more info. 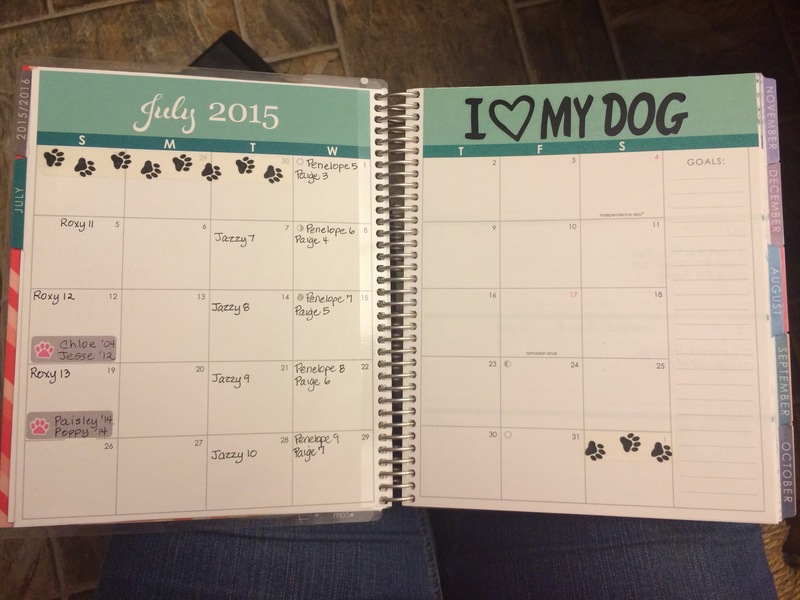 I also used a fun doggie related sticker to decorate each month. The days will be pretty basic with a to-do list on them. The goal of course is to complete all the tasks! Last year I put this info on the bottom lines in the vertical view. As you can imagine, the space was not adequate for listing all the things that needed to be done each day. 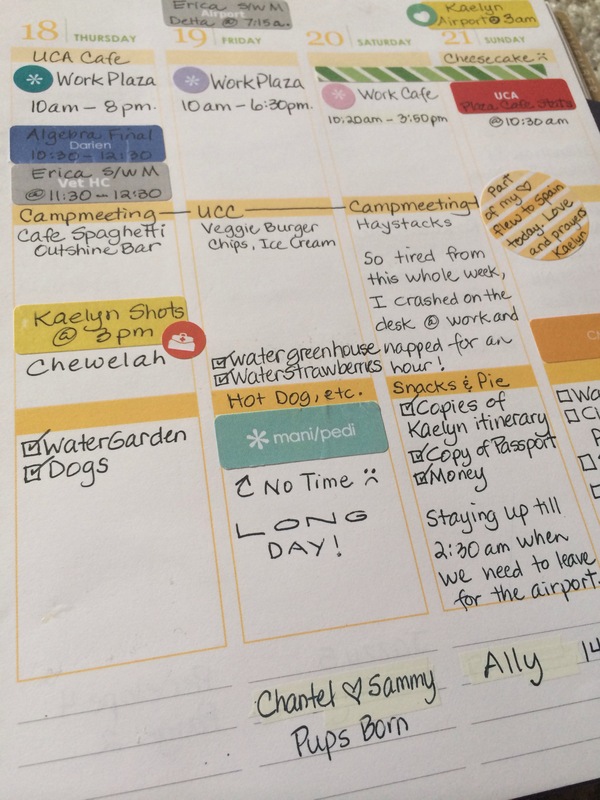 I have some cute doggie stickers that I may use for an embellishment here and there, but this planner will probably just serve to keep us on track so we don’t forget anything! If you also want to peek at our puppies, you can visit our other blog at http://www.silverpawcavachons.com. Enjoy! 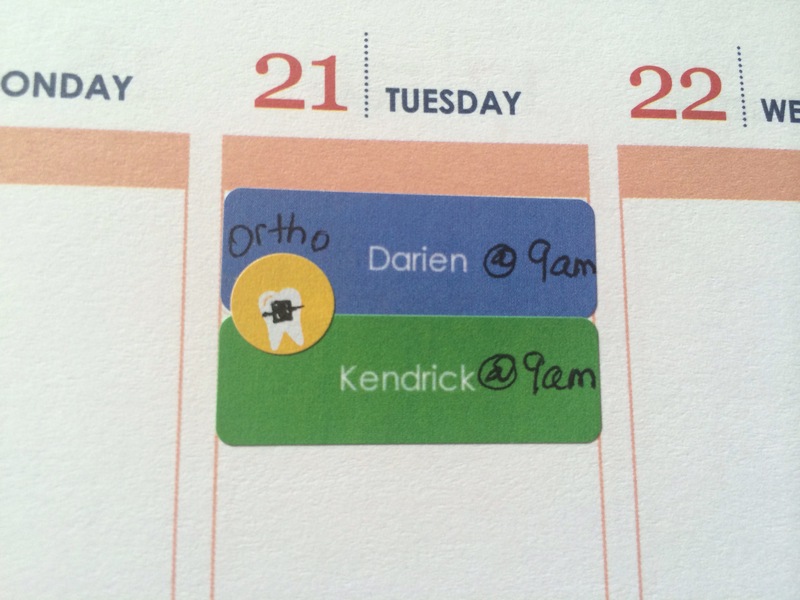 This is not exactly a planner hack…I don’t think! 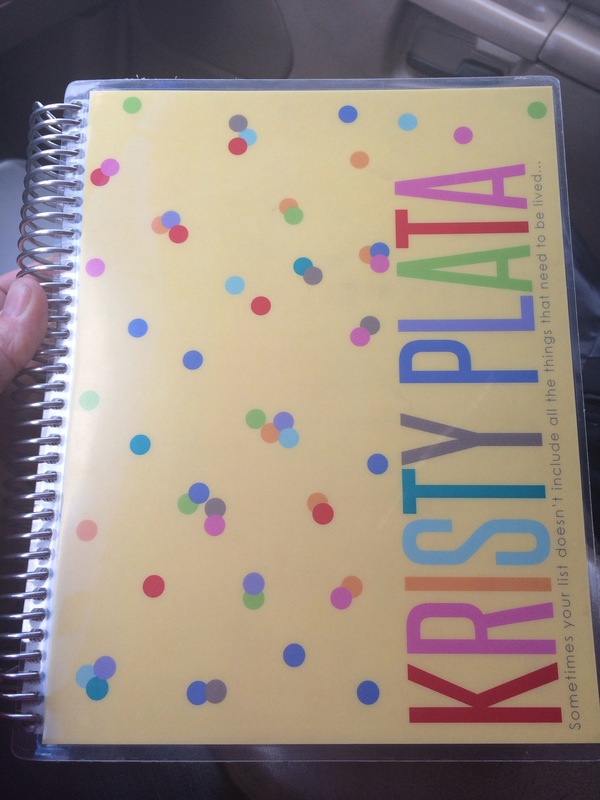 The next thing I did to set up my planner was put my name and phone number on the cover page. I absolutely love the vellum cover and think it looks so classy over the name page. 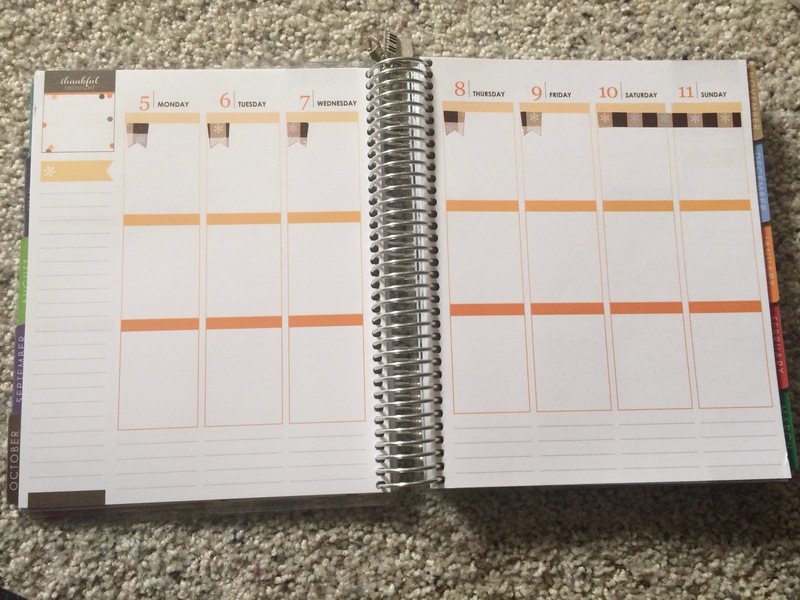 This is a change that I adore and I’m so glad even a normal planner gets this fun touch! Did anyone else imagine coloring these pencil looking drawings with colored pencils? I feel tempted to do that. I also set up the inside front cover as my dashboard. Do you think I have enough sticky notes? I use them a lot so I don’t mind having such an abundant variety. I was a little hesitant to put them on the cover simply because this is the temporary cover, but I LOVE the inside of this cover, so I’m going to stick with it for a few weeks at least. 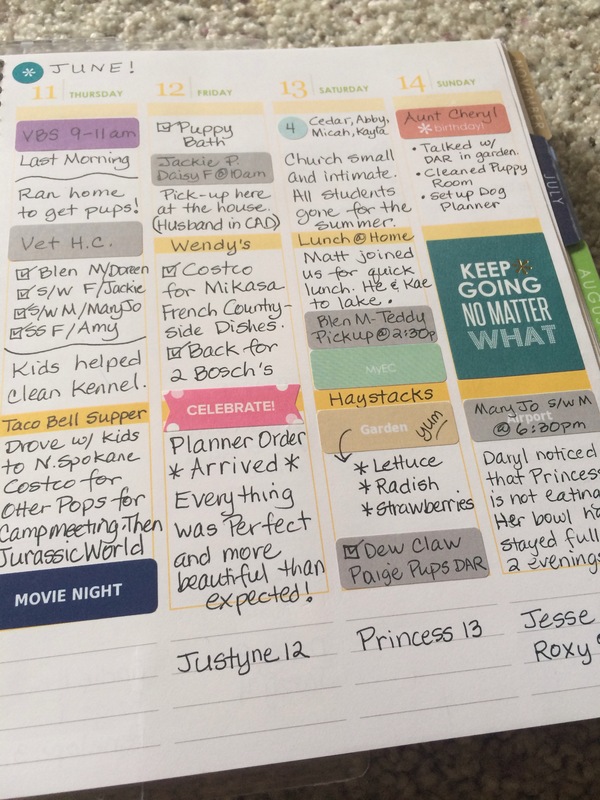 I love the process of setting up my new planner and I plan to share every detail in this blog!! This just seems like something we all should have access to. I snagged it off of FB and that person snagged it off of IG. Will the original owner please raise your hand?! !